Nine-time winners Auckland City FC begin their defence of the OFC Champions League as Group C gets underway on Sunday with AS Venus, Madang and Lautoka the clubs to have first crack at the defending champions. City’s clash against Tahiti’s AS Venus headlines the first day’s play at Auckland’s Trusts Stadium 4pm while Fijian champions Lautoka FC take on Papua New Guinea’s Madang FC at 1pm. Taking on an Auckland City outfit that has won the last seven editions is a daunting exercise for any club let alone a youthful AS Venus whose club hasn’t reached this level since 2001. But coach Sam Garcia is taking all the pressure of a squad containing nine teenagers, including five in his travelling 18 for this stage. He sees the opening match as a chance to set a benchmark for a tilt at the quarterfinals in the two subsequent matches. “When you play a team that has seven Champions Leagues behind them the first ball people will shake a bit for sure, we have eight Tahiti U-19 players who also play at our club, but we have to think about more than just that – it’s the pleasure above all,” said Garcia. “They have a certain culture technically, they have a desire, a desire to discover so they’re going to take each match without worrying about an objective. The objective is not so much Auckland City tomorrow, but from Wednesday next week. Auckland City’s Ramon Tribulietx will also have a number of young players to call upon with transfers of key players to other clubs around the world as well as tighter rules governing the use of foreign players in the OFC Champions League forcing him to dig deeper than usual into his squad. But the Navy Blues coach says it changes nothing in their approach and he backs the players and the system they play within to deliver results. “We prepare in a very similar way. I strongly believe in the collectiveness of this game. I think the product is going to be very similar to what it has been in the past with different personnel. A key match-up will be Auckland City’s stifling defence against the in-form Teonui Tehau. The Tahitian international has netted an astonishing 76 times in the last season and a half of Ligue 1 action in his homeland but he faces an Auckland unit that can barely remember what it’s like to concede. It’s now 546 minutes at national league level and 593 minutes in the OFC Champions League since City’s defence was breached. In the opening Group C match Lautoka will look to make up for lost time on their return to the OFC Champions League after a seven-year absence. The Fijian champions take on a Madang side who are hoping to build on last season’s debut but whose preparations have been hobbled by visa issues that delayed the arrival of the bulk of the squad. Madang coach Mauri Wasi was not about to write off his side before the group had started. “We can make all the excuses we want but at the end of the day we’ve got a game to play and I’ve got 14 boys who’ve travelled and arrived late on Friday night and we just have to recover and think about the best way to approach our first match,” Wasi said. “We can’t control what happened but we can control how we play against Lautoka on Sunday. We just have to stay positive and have a good go. After romping to the Fijian title to qualify for this season’s champions league, Lautoka’s Kamal Swarmy has added three imports to bolster the squad. The competition’s all-time leading goal scorer Benji Totori is the biggest name although former New Zealand age-group international Cory Chettleburgh and Vanuatu defender Brian Kaltack inject top-level experience in different parts of the pitch. “The new signings have boosted the squad and bring a lot of experience. They’ve gelled well and I think we’ll be a good team in the tournament,” Swarmy said. Despite Madang’s preparation problems Swamy was predicting a tight match to open the group. Lautoka and Madang get Group C action underway at Aucaklnd’s Trusts Stadium at 1pm followed by AS Venus taking on Auckland City at 4pm. Vital Statistics: Lautoka won the 14-game National Fijian League by a whopping 12 point margin to return to the OFC Champions League for the first time since 2010-11. The Players: Benjamin Totori is the leading goal scorer in the OFC Champions League having netted 22 times for four different clubs in New Zealand and Solomon Islands. Now in his 30s, the one-time winner of the competition with Waitakere United aims to add to his tally while using his experience to help some of his greener team mates make the step up. Coach Quote: The top two is definitely the aim so we can reach the quarterfinals. If we can do that it will very beneficial to our district and football in our country. Team List: 1-Senirusi BOKINI (GK), 2-Edward JUSTIN, 4-Shazil ALI, 5-Poasa BAINIVALU, 6-Jone VESIKULA, 7-Dave RADRIGAI, 8-Kavaia RAWAQA, 9-Liesari QALICA, 10-Cory CHETTLEBURGH, 11-Praneel NAIDU, 12-Laitia TUILAU, 14-Samuela DRUDRU, 16-Osea VAKATALESAU, 17-Kolinio SIVOKI, 18-Arami VOLAVOLA, 19-Benjamin TOTORI, 20-Brian KALTAK, 22-Benaminio MATEINAQARA (GK). Vital Statistics: Goal-scoring wasn’t a problem for Madang on their Champions League debut last season, scoring seven goals across their three group matches. However, their defensive frailties were exposed throughout the campaign as evident in 15 goals conceded. The Players: Papua New Guinea captain Michael Foster is a significant signing for Madang in 2018. The midfielder was instrumental in Papua New Guinea’s run to the final of the OFC Nations Cup in 2016 and in 2010 helped Hekari United become the first (and so far only) club from outside Australia and New Zealand to win the OFC Champions League and qualify for the FIFA Club World Cup. Team List: 1-Mikes GEWA (GK), 3-Able Linday REDENUT, 4-Darren POLLY, 5-Langarap SAMOL, 6-Samuel KINI, 9-Maskulan PULUNG, 7-Maximillion SEGUM, 8-Michael FOSTER, 10-Emmanuel AIREM, 11-Vanya MALAGIAN, 12-Nigel MALAGIAN, 13-Jonnel KAMBUAL, 14-Neil HANS, 15-Hanson TOPIO, 16-Papalau AWELE, 18-Stahl GUBAG, 21-Charles LEPANI (GK), 23-Solomon MAPAI. Vital Statistics: AS Venus’s participation in Oceanian club competition dates back further than any team in Group C (and is second only to Ba among teams qualified in 2018). Their debut came in the 1999 Oceania Club Championship where they finished third equal along with Auckland City’s sister club Central United having lost to eventual winners South Melbourne in the semi-finals. They finished fourth in 2001 but did not qualify again until this season. 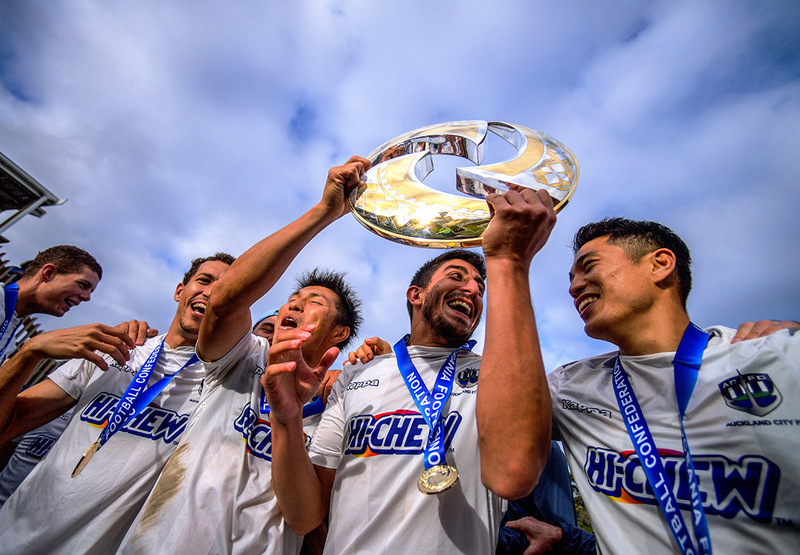 The Players: AS Venus returned to the OFC Champions League as Tahiti’s runners-up after finishing fourth in the regular season and pulling off a stunning upset win over runaway round-robin winners AS Tefana in their Championship semi-final. Team List: 1-Tamatiti PATIA (GK), 2-Tauarii TAPUTUARAI, 3-Kevin BARBE, 4-Jean-Claude PARAUE, 5-Marcel TIHONI, 6-Hitinui VERNAUDON, 7-Marama AMAU, 8-Faretua MARAETEFAU, 9-Tefai FAEHAU, 10-Teonui TEHAU, 11-Raiamanu TETAUIRA, 12-Mauarii TEHINA, 13-Yann PENNEQUIN-LE-BRAS, 18-Ramanui AMAU, 22-Tamatai TEVAEARAI (GK), 23-Mauri HEITAA, 24-Hauragi HURI, 30-Roonui TEHAU. Vital Statistics: Auckland City FC goalkeeper Enaut Zubikarai has not conceded a goal in the last 560 minutes of play in the New Zealand national league. Those nine and twenty minutes broke a 10-year old New Zealand record set by Waitakere United. In the Champions League they have held out teams even longer. It’s been 593 minutes since Auckland City last conceded – a first half goal to Western United in the opening game of the group stage in 2017. The Players: Callum McCowatt has impressed for the Navy Blues in his debut domestic season and now gets to test himself at champions league level. The 18-year-old has shouldered more responsibility since the departure of Ryan de Vries to Japan and has netted six times so far this season. Coach Quote: “We will have to look at us and make sure we are strong and ready for the challenge. We understand the challenge the island nations bring to the game. They play the game in a of a different way. They’ve got those individuals qualities – skill, physicality – that is a bit different than what we’re used to but regardless of who is on the pitch we’ll be prepared for it. Team List: 1-Eñaut ZUBIKARAI (GK), 2-Liam GRAHAM, 5-Angel BERLANGA (C), 6-Te-Atawhai HUDSON-WIHONGI, 7-Cameron HOWIESON, 9-Darren WHITE, 12-Kris BRIGHT, 13-Alfred ROGERS, 14-Cole PEVERLEY, 15-Daniel MORGAN, 17-Reid DRAKE (GK), 19-Micah LEA’ALAFA, 20-Emiliano TADE, 21-Harrison EDGE, 24-Connor TRACEY (GK), 25-Owen PARKER-PRICE, 26-Callum MCCOWATT, 27-Dalton WILKINS.